When relationships go south, some people just can't-or won't-let go. 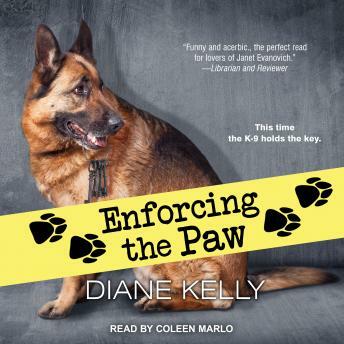 When Fort Worth Police Officer Megan Luz and her pawed partner Brigit investigate a series of stalking incidents involving a couple who recently broke up, their detective powers are put to the test. Is this a case of a controlling creep who refuses to accept rejection-or one about a woman scorned whose fury has been unleashed? As hostilities escalate between the former lovers, the situation goes from romantically dysfunctional to downright dangerous. He insists his former flame has become a crazy ex-girlfriend intent on vengeance. She alleges that he is a master of manipulation and lays blame entirely at his feet. Who's the culprit, and who's the victim? Can Megan and Brigit sniff out the truth . . . before somebody ends up dead?